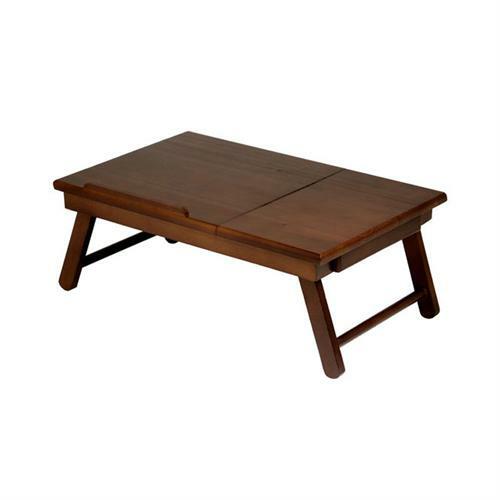 More on the Winsome Wood Alden Breakfast Tray with Inset Drawer and Tilting Top 94623 below. 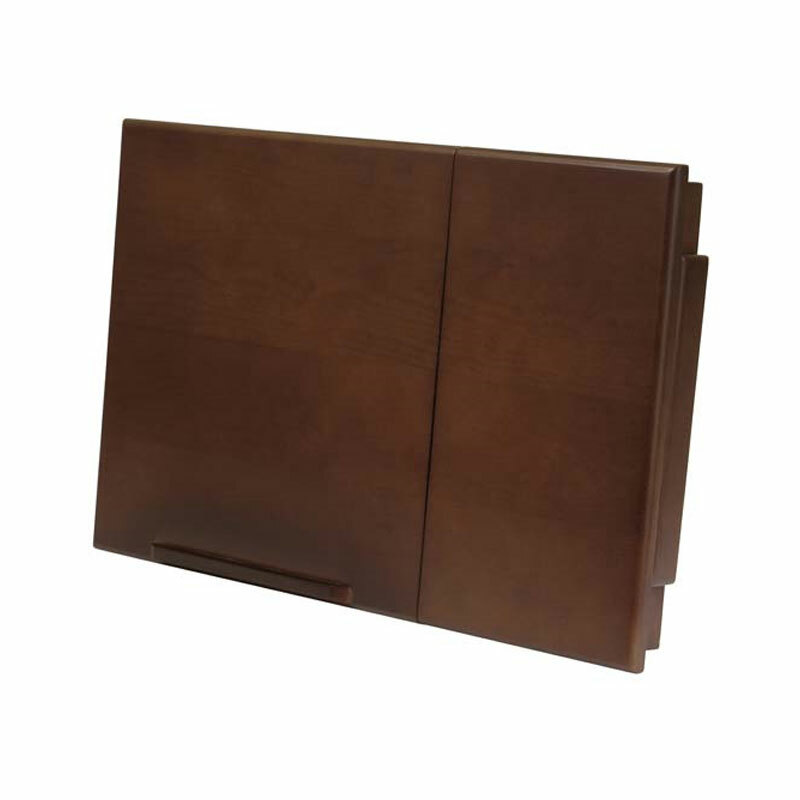 Pull-out wood handles for easy mobility from room to room. 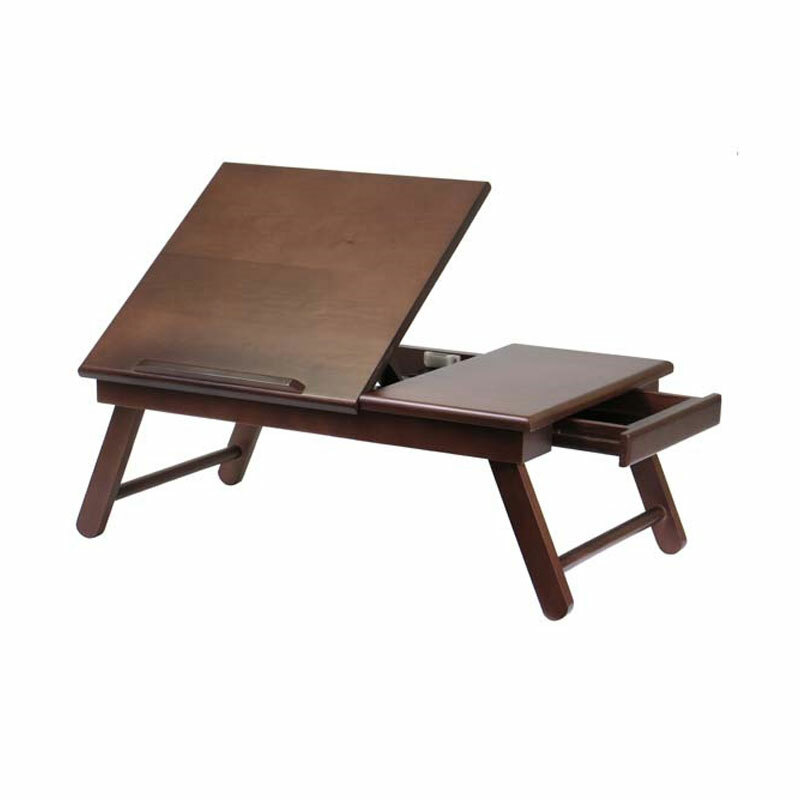 Adjustable, tilting top (60% of total top space) with integrated, lower safety lip, designed to hold newspapers, writing papers and books. 1 small, inset drawer, beneath the lifting top, perfect for writing utensils, scrap paper, napkins and silverware.